This LabDoor study of 30 probiotics, ranking them noting the top 10 probiotics in the United States, is a great read and source of reference for those who understand the benefits of probiotics in odor management. 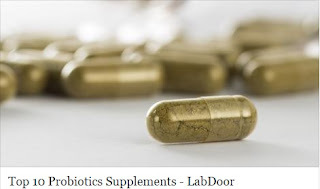 LabDoor analyzed 30 best-selling probiotic supplements in the United States, measuring amounts of total anaerobic bacteria, genera-specific bacteria, and potential contaminants (mold, yeast, and pathogenic bacteria, including E. coli O157:H7, Salmonella spp., and Staphylococcus aureus). This site discusses the analyses performed, statistics, and give some "Unconventional wisdom," i.e., " Gummy and chewable probiotics averaged 92% less beneficial bacteria than standard formulations."